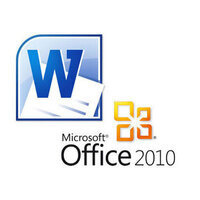 Using Microsoft Word, learn to insert pictures, ClipArt, Shapes and SmartArt graphics. Use WordArt to insert decorative text in your document. Class prerequisite recommendations: ABC and Skill Builder's Workshops, Introduction to Computers/Windows, and Microsoft Word 2010. Registration information: Click the date below to register online. An email account is required or call our Help Desk at 443-984-4944.